The Sunreef 60 Loft has presence on the water only a very few boats could manage for its given length. The vastness of its deck space, cockpit area and fly bridge is quite exceptional, it has the potential for guests to feel like they are staying in a luxury villa rather than a Catamaran. This EU VAT paid example is a 2015 model complete array of optional extra fitted when new. The owner placed much emphasis on practicality and comfort at the time of fit out for long distance blue water cruising. The boat has also been professionally run, serviced last week on arrival in St.Lucia, and due for lift out and antifoul in the next couple of weeks. 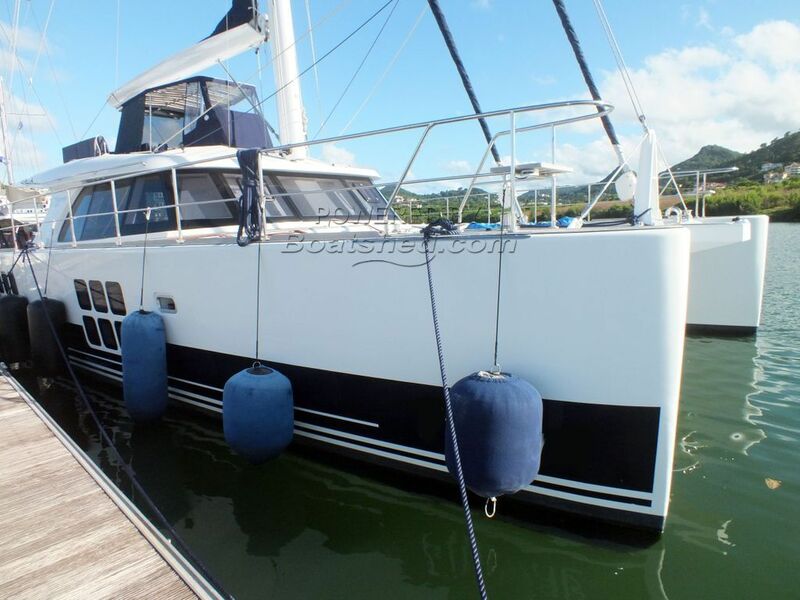 This Sunreef 60 Loft has been personally photographed and viewed by Andy Topham of Boatshed St Lucia. Click here for contact details.